In the modern globalized economy, it is important for businesses of all sizes to take advantage of the opportunity to enter diverse markets around the world. Through an international presence, organizations can remain competitive. 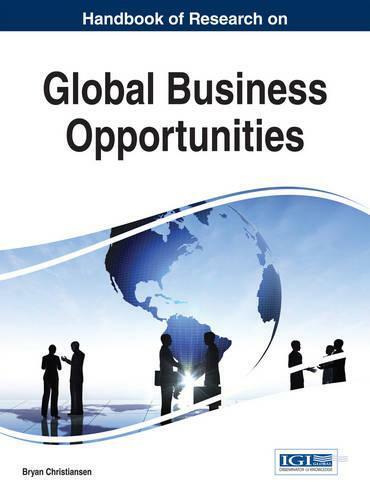 The Handbook of Research on Global Business Opportunities combines comprehensive viewpoints and research on various business enterprises from around the world in companies of all sizes and models, discussing different aspects and concerns in the global business environment such as corruption, taxation, supply chain management, and economic impacts. This handbook is an essential reference source for business executives from both large and small firms, business scholars, researchers, academics, students, and professionals.